Make every report or statement interactive with real-time computation, enabling customers to test multidimensional "what-if" scenarios. To view this example, you need the FREE Wolfram CDF Player. 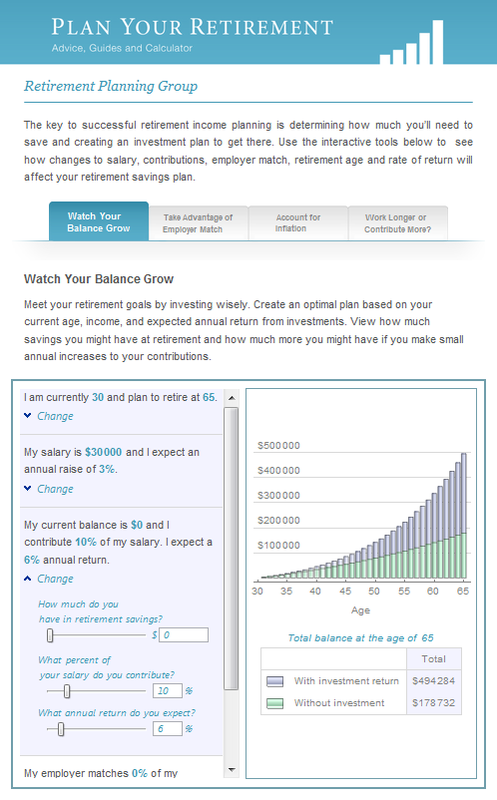 Crunch numbers and explore "what-if" scenarios dynamically. Provide planning tools that your clients can use anywhere, not just when they are online. Start with built-in financial functions to speed development of interactive apps. Extend them with our flexible programming language. Ask a question. Suggest an example.